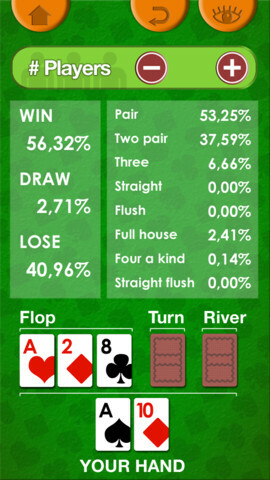 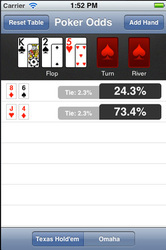 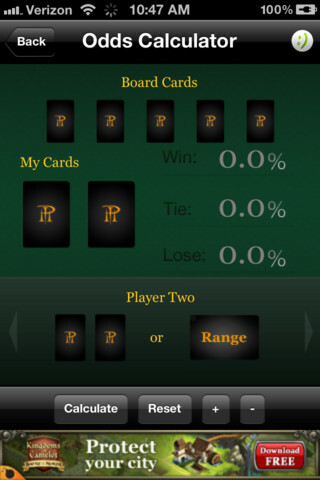 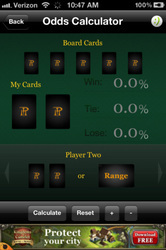 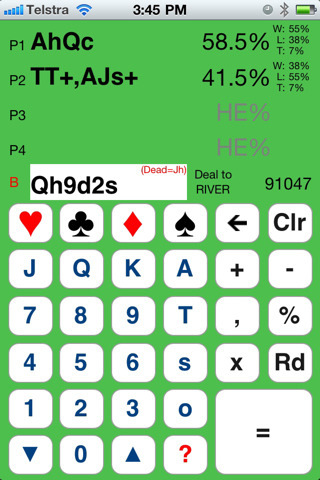 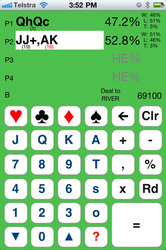 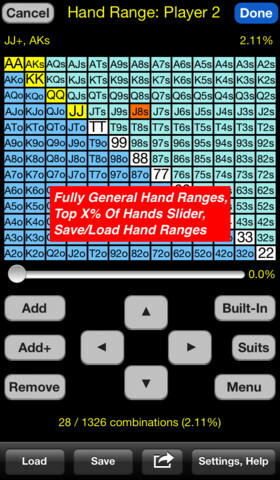 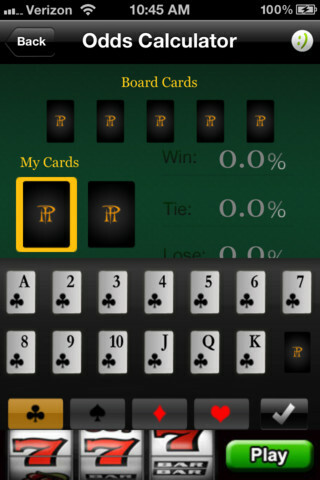 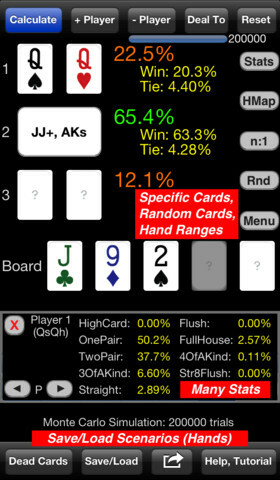 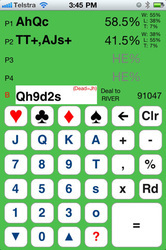 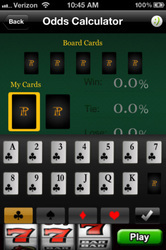 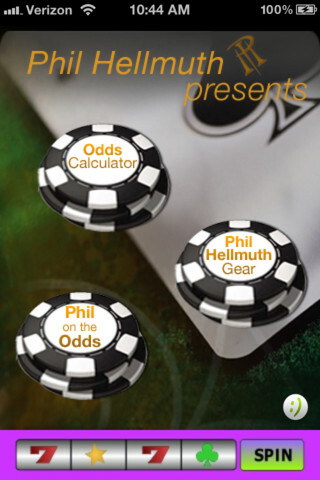 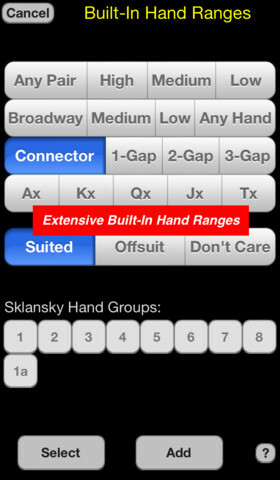 Poker odds calculator apps give iPhone owner an advantage over the competition by allowing them to quickly analyze every hand in a heartbeat. 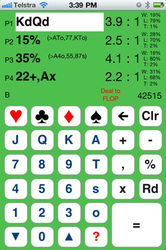 A wide range of excellent calculators are now available for free from the iTunes app store. Here are the best ones. 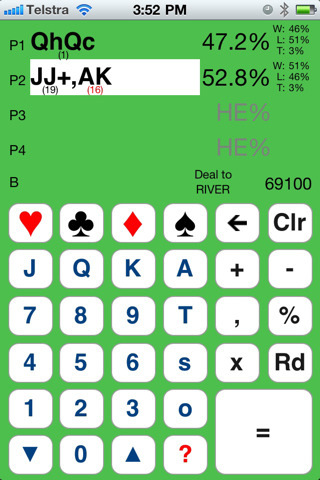 Poker calculators are specialised pieces of software that allow you to calculate the odds for even the most complicated situations at the table in a blink of an eye, effectively improving your decision-making skills and enhancing your understanding of poker math. 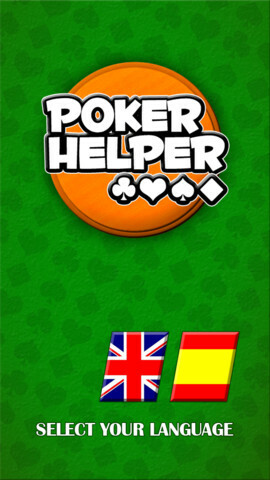 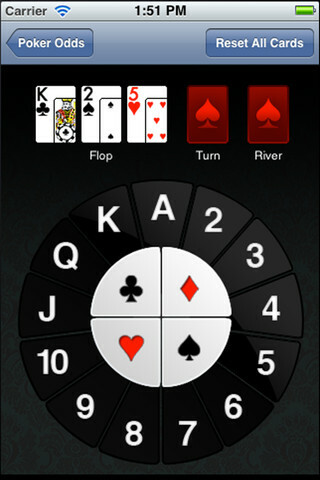 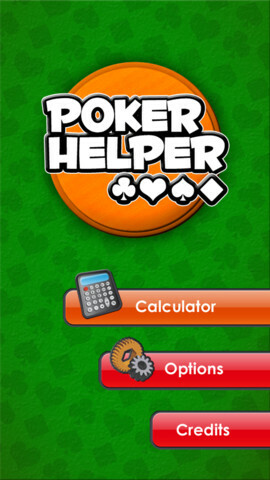 While apps of this kind have been available on PC and Mac for many years now, mobile users have not been so lucky until the recent, rapid developments of smartphone technology made mobile poker calculators possible. 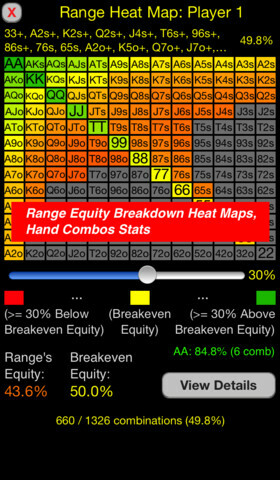 iPhone owners are probably best off in this regard, as the iTunes Store offers plenty of high quality apps that will undoubtedly improve your performance during live events while simultaneously allowing you to analyse that hand you haven’t quite been able to get out of your mind while riding on a bus to work. 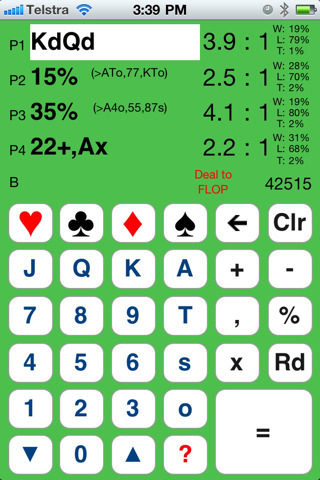 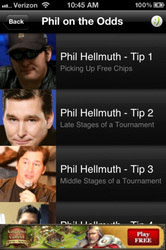 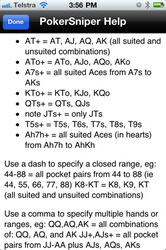 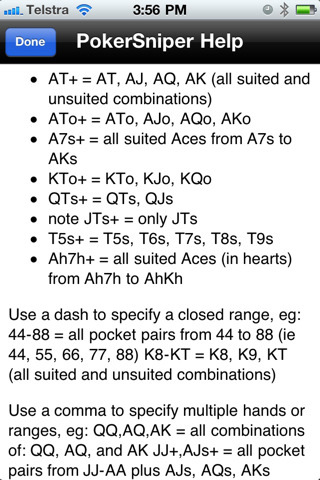 The goal of this short guide is to provide you with a list of dependable, advanced iPhone poker calculators that you can use as a base for your own research later on. Just like their PC and Mac based counterparts, iPhone poker equity calculators have matured enough to come in different shapes, varieties and forms. 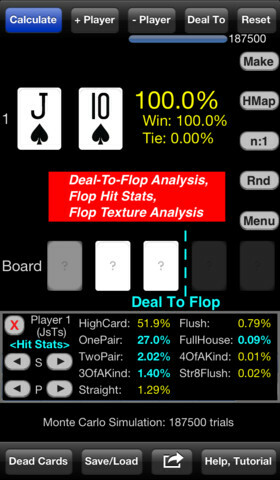 As a result, selecting the right tool for the task requires you to consider what exactly you’re going to use that specific piece of software for – do you need a live tournament aid, or are you looking for an app to help you in pondering hypothetical scenarios or a complicated theory book? 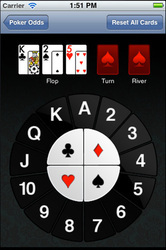 The rule of the thumb here is that the more sophisticated the results and features are, the more input is required to make the app work – so if you’re going for a gaming assist, try to get something rather compact and make sure to familiarize yourself with the interface before you bring it to the tables. 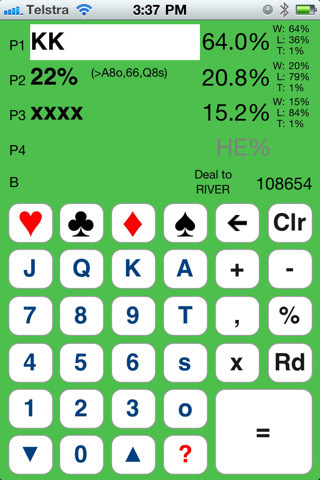 Using a poker calculator in a live game is not going to shock anyone in this day and age, but messing with your phone when it’s your turn to make a move definitely will.